CLARK, Pampanga — The Department of Transportation (DOTr) will be rolling out over 200 modern public utility jeepney (PUJ) units to operators with franchises validated by the Land Transportation Franchising and Regulatory Board (LTFRB). 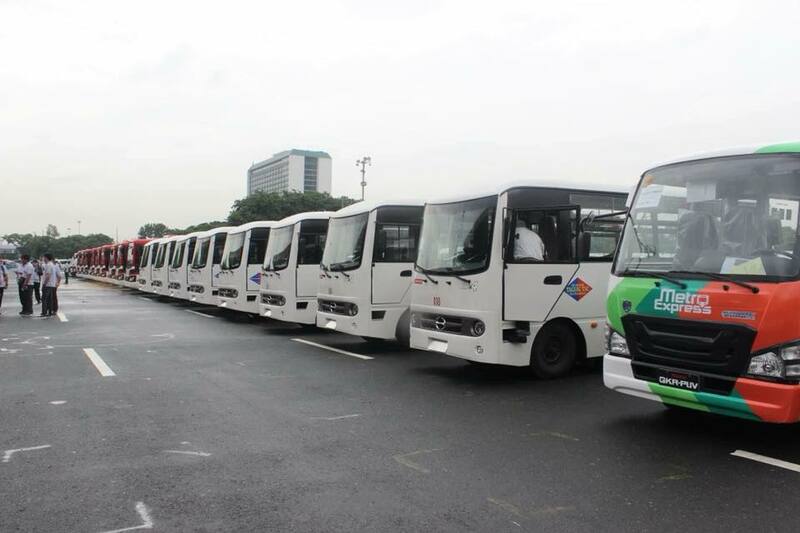 It will be held during the Dispatch of Modern Public Transport Vehicles: Pasada Tungo sa Maunlad na Bansa event at the Quirino Grandstand in Ermita, Manila on July 20. The modern jeepney conforms with the existing environmental and product standards set by the Bureau of Standards. It has side doors instead of rear doors, and a higher ceiling that allows for standing passengers, which translates to a higher carrying capacity. Emergency exits are mandated and some units will have provisions for differently-abled passengers, coupled with WiFi, GPS, CCTVs, dash camera, speed limiter and automatic fare collection system. In compliance with the Clean Air Act of 1999, the modern jeepney will either have a Euro-4 compliant emission system or an electric-powered motor that will generate less pollution or none at all. Class 1, 2, and 3 jeepneys will be available for dispatch. Class 1 will have 9 to 22 passenger capacity including the driver; Class 2 will carry 22 passengers and will allow for standing passengers to augment the driver’s income; Class 3 will likewise likewise have 22 passengers and above plus driver, but will be all seated. DOTr Secretary Arthur Tugade, who will lead the modern jeepney dispatch with Undersecretary for Road Tim Orbos and LTFRB Chairman Martin Delgra III, said the modernization of jeepneys is long overdue. “Napapanahon nang magkaroon ang publiko ng hindi lang ligtas kundi komportable at kaaya-ayang pampublikong transportasyon. Kung kayoý papipiliin, saan niyo ba mas gustong sumakay: sa karag-karag na jeepney na itim na usok ang ibinubuga, o sa mas modernong jeep kung saan makauupo kayo ng komportable at batid ninyong ihahatid kayo sa inyong paroroonan nang ligtas at hindi nakadaragdag sa polusyon? (t is time for the public to have not only safe but comfortable and convenient public transport. If you were to choose where do you want to ride: old and dilapidated jeepneys that belch black smoke or modern jeepneys wherein you will be able to seat comfortably and you are assured that you will reach your destinations safely and not contributing to pollution. ),” Tugade said. He said there are financing schemes available to operators and drivers to help them pay for the cost of the modern jeepneys. Meanwhile, Orbos explained the financing rates are affordable with a “5-6-7-80,000” formula, which stands for an easy down payment, very low interest rates, payability in seven years, and PhP80,000 government subsidy. He urged drivers and transport operators to be open to developments and embrace the PUV modernization. “Eventually everyone will get tired of riding the dilapidated jeepneys that are hazards on the road, because we all know we deserve better and there are better options out there. Hindi naman sila pababayaan ng gobyerno (The government would not neglect them),” Orbos said. The DOTr plans to replace all public utility vehicles (PUV) aged 15 years or older under its PUV Modernization Program (PUVMP).